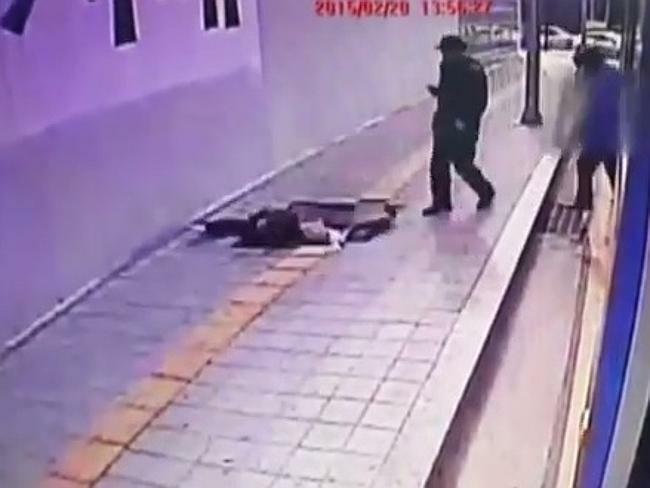 Watch as a couple in Seoul, South Korea step off a bus and suddenly disappear down a sinkhole, all captured on Korean CCTV . Thankfully the couple escaped with minor injuries, after being rescued by firefighters. Authorities are investigating the sudden appearance of the danger hole but reports suggest it might have been caused by nearby construction work. I lost sound at 37 or so seconds in or is it that the video just goes silent? The sidewalk looks like it shouldn’t be walked on in that spot, sort of curving into the ground. I’ve had dreams like that.